There Is A Better Way To Get It Paid. The reality of having to pay for college started to set in as soon as the first acceptance letters started to arrive. While we encouraged our daughters all through high school to aim to earn as much as possible from Florida Bright Futures, we also invested in Florida Prepaid. However, every little bit helps. 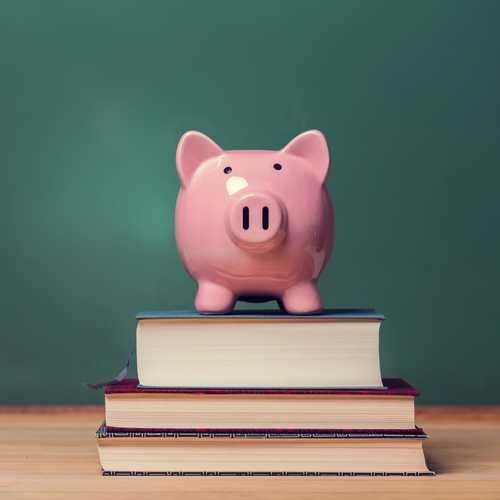 With so many scholarships available today, the trick is finding the ones that suit your student’s needs and that they will qualify for. Some scholarships are quite competitive, some last for four years, and some are downright silly, but pay for something. All make those bills for the next four (or more) years more bearable. The best place to start is probably on some of following websites: FastWeb and NextStudent.com (both are excellent free search engines that are updated daily), GoodCall, BestColleges.com, Cappex.com, CollegeAnswer.com, Scholarships.com, Scholarship Experts, CollegeScholarship.org, and ScholarshipGuidance.com. There are many options for free scholarship search engines as well as campus resources. Be cautious of scams and don’t pay for services that say they will find them for you or offer a money-back guarantee. Never provide personal information such as bank account numbers and credit cards numbers. It is also recommended to apply as early as possible and be sure to have your FAFSA form completed beforehand. Some require essays and believe it or not, those are the ones most avoided; therefore have the least amount of people applying. Don’t steer away from these; seek help with the essay instead. My daughter’s high school actually offered walk-in help with these types of essays. See if your student’s high school offers this. My daughter had a few written and ready to go when scholarships with an essay requirement came up. More specialized searches targeted toward specific subjects, financial situations or minorities can be done through websites like: CollegeWhale.com (which will walk you through the FAFSA, student loans and financial aid, as well as match your student to the best scholarships for them), AccreditedSchoolsOnline.org (for minority students), NewsFund.org (journalism scholarships funded by Dow Jones Newspaper Fund), LatinoCollegeDollars.org, Hillel.org. A newer scholarship website, RaiseMe, is also being utilized by Florida Atlantic University. RaiseMe is a website for high schools students; students can log their achievements in high school and earn micro-scholarships. The values of the Micro-scholarships vary from college to college, but they can add up. More information about RaiseMe and FAU can be found here. There are some scholarships that we will post as we come across them. One is the Sonn Law Group Scholarship. It is based on community involvement and open to high school seniors. The winner will receive $1500 to use toward tuition and books. The Office of Undergraduate admissions at FAU offers several merits or need-based scholarships, however, they can be competitive. More information on scholarships offered through FAU can be found here. Make sure to check all the requirements and deadlines for each scholarship, as some apply only to certain degree programs. FAU also has scholarships that are only available to incoming freshman, these can be found here. Each college within FAU offers scholarships, links can be found below.